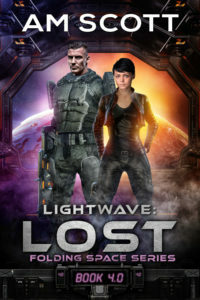 Here it is, the cover for Lightwave: Lost, Folding Space Series 4.0. Isn’t it gorgeous? Coming Soon! BTW, if you’re a newsletter subscriber, you got to see it first! Not a subscriber? Scroll down and sign up. No spam, 1-3 emails per month, and I’ll never sell your info. Next Post Over 100 Free Books!